Technology is always changing. You may not always have the time to stay on top of technological changes to keep your business relevant and innovative. That’s what we’re here for. We’re dedicated to ensuring every IT project and upgrade is carried out efficiently and strategically. Let’s have a conversation together about your needs. Drop us a line below to get started. Not being on par with the latest technology can affect all areas of your business. 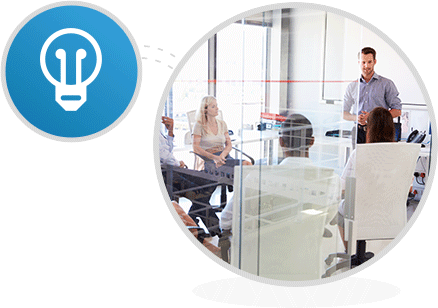 Rather than getting left behind, the team at Infinity can help you plan, design, integrate and manage IT projects and systems for rapid innovation. Before you make a decision, it’s important to do your research. 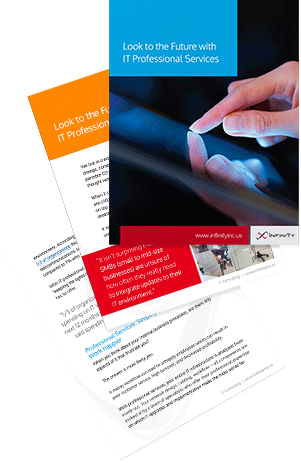 Read through our whitepaper to find out what professional services can do for you. Given the obstacles you face as a business owner day in and day out, it’s no wonder why you may be reluctant to embrace new technology. But this means your business still relies on outdated IT to keep the lights on, which can mean slowing down innovation.